EDINBURG — The first of seven men arrested nearly two weeks ago during an attempted jewelry store robbery appeared in court Wednesday for a probable cause hearing, where his court-appointed attorney claimed the defendant was “forced into” the situation at the threat of violence against him and his family. Miguel Quintanilla was arrested July 28 on charges of aggravated robbery and failure to identity after he and six other men, who have been described by authorities as Mexican nationals, attempted to steal millions in fine jewelry and Rolex watches from Deutsch & Deutsch, a luxury jeweler inside La Plaza Mall. The hearing — sought by Quintanilla’s court-appointed attorney, Sergio J. Sanchez — provided insight into how these men allegedly found themselves planning a million-dollar heist during a peak shopping time at the popular McAllen mall, which draws large weekend crowds from both sides of the border. “In time, a jury will see how he was forced into this terrible situation through coercion and death threats on himself as well as his family in Mexico, to include his wife, parents and children,” the statement continued. His attorney claims Quintanilla was smuggled into the United States days before the robbery attempt by a criminal network under the false pretense that construction work awaited him in the Rio Grande Valley. In-stead, he was allegedly held against his will at a stash house “by a group of unarrested conspirators” and faced death threats if he didn’t comply with taking part in the robbery attempt, Sanchez further claims. Sanchez emphasized during Wednesday’s hearing that Quintanilla’s only criminal history in the U.S. involved a previous illegal entry charge, suggesting his client did not know the other defendants while questioning the McAllen police detective leading the investigation, Moises Garcia Jr., who was the only witness called during the hearing. Two of these defendants were also charged in California for committing a similar robbery at a Los Angeles jewelry store in 2015. “How did he get to the mall? Was there a driver?” Sanchez asked Garcia, a question which prosecutors said was beyond the scope of the hearing, which was to ascertain whether there was probable cause to arrest Quintanilla. Given that Quintanilla was arrested inside the store, Sanchez focused on contesting the probable cause surrounding the failure to identify misdemeanor charge. The detective told state District Judge Juan Partida that Quintanilla gave police a name that did not corre-spond with the name and date of birth that matched Quintanilla’s fingerprints in a federal database. Quintanilla told McAllen police he was born April 9, 1992 and his name was Miguel Quintanilla, according to the detective. The date of birth and name he originally provided when previously arrested by U.S. Border Patrol, however, was April 1, 1992, and Miguel Quintanilla-Cardenas. 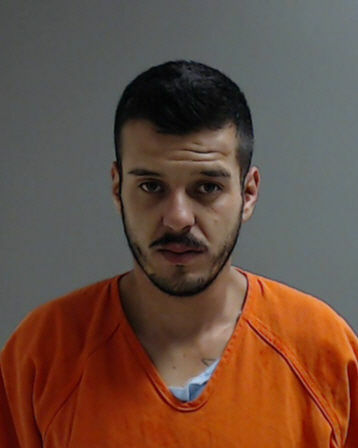 Sanchez argued to the judge that “the issue of the last name is a very regular occurrence” for Mexican na-tionals, who use both parents’ surnames, noting that his client was booked into jail as Miguel Cardenas Quintanilla. “I think it’s simple overreach by the police department to bring a failure to ID,” Sanchez said during the hearing. “He’s given the same first name, he’s given the same middle name. He’s given the name of his father and the maiden name of his mother, which is the traditional way of providing your name in Mexico. Partida will determine Thursday whether there was probable cause to arrest Quintanilla on the aggravated robbery felony charge and failure to identify misdemeanor. Quintanilla remains in custody at Hidalgo County jail on a federal detainer due to his immigration status.